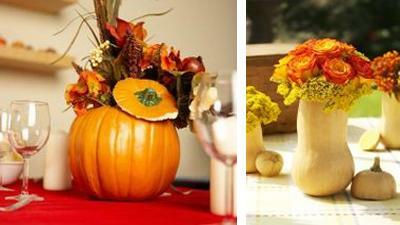 Pumpkin centerpieces look natural, adding warm color and familiar designs to fall decorating. 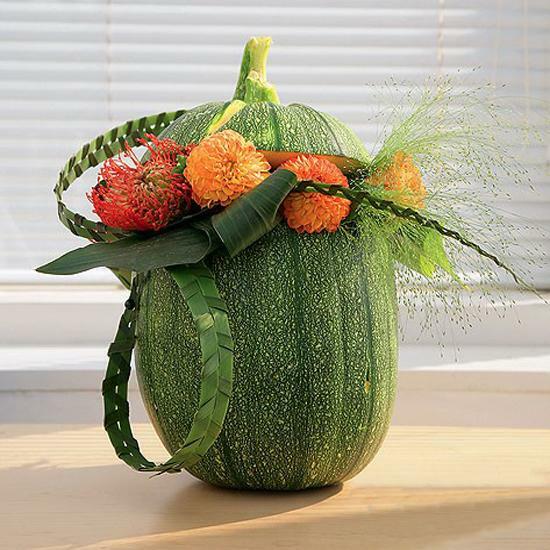 Combined with bright fall flowers, fruits and vegetables, pumpkin centerpieces are ideal for eco friendly Halloween and Thanksgiving decorating in elegant, inexpensive and charming eco style. 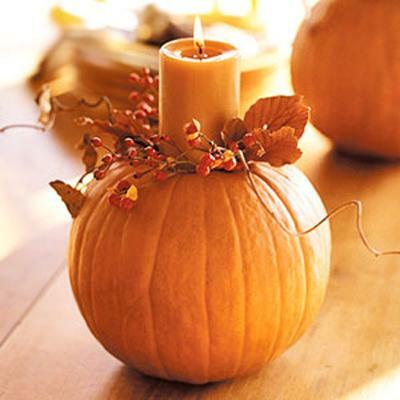 Pumpkin centerpieces and table decorations are easy to make. 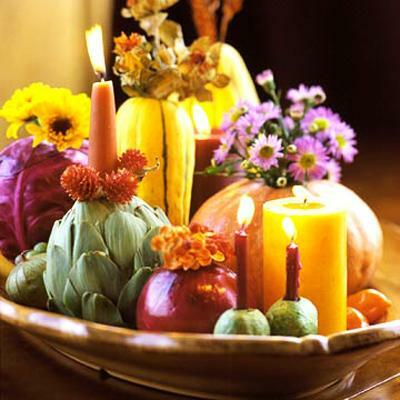 While adding unique accents to fall table decoration, they look fabulous with holiday food and treats, fall leaves and berries. 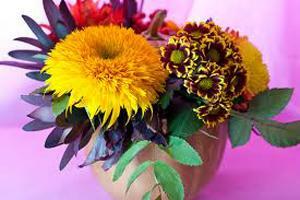 Do you need ideas for an exotic and stunning centerpiece for your autumn table decor? 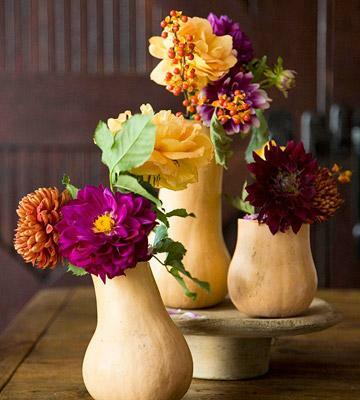 Carved pumpkin vases and flowers are excellent for creating original and expressive Halloween or Thanksgiving table centerpieces that make a statement. 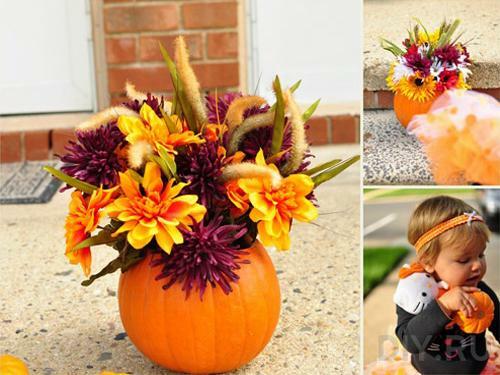 Here is a collection of wonderful pumpkin centerpieces that include traditional fall flower arrangements and carved pumpkin designs that will get your creative juices flowing. 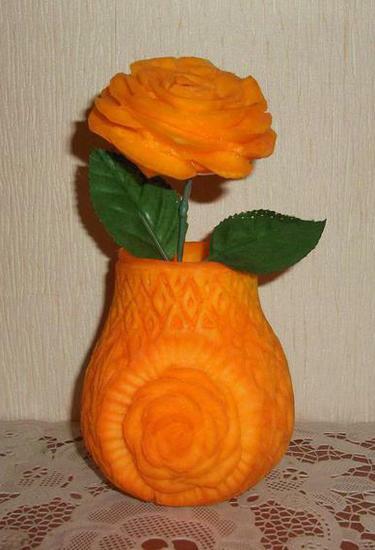 All you need is a pumpkin and a handful of fall flowers, or lots of patience to carve a pumpkin. 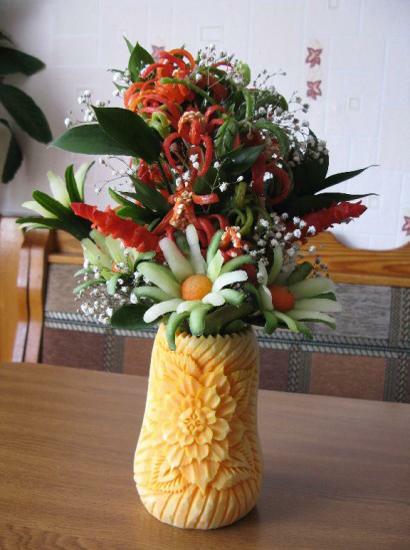 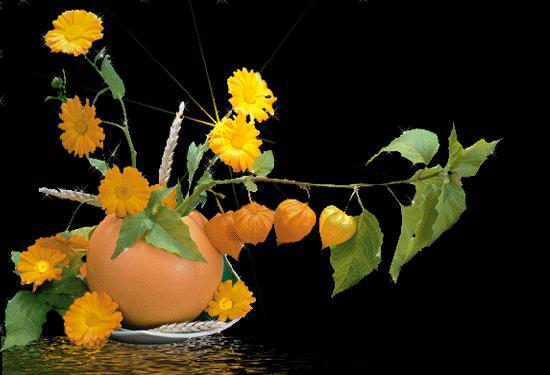 For creating simple and elegant traditional pumpkin and flower arrangements you will need a pumpkin, fall flowers, a sharp knife and a large spoon. 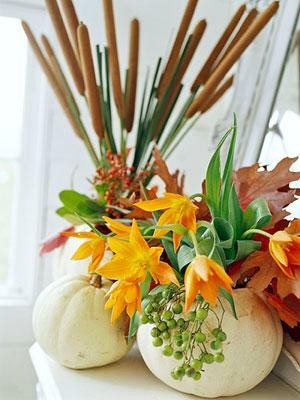 Prepare your work area by spreading out some old newspapers, then using a knife, carefully remove the top of the pumpkin. 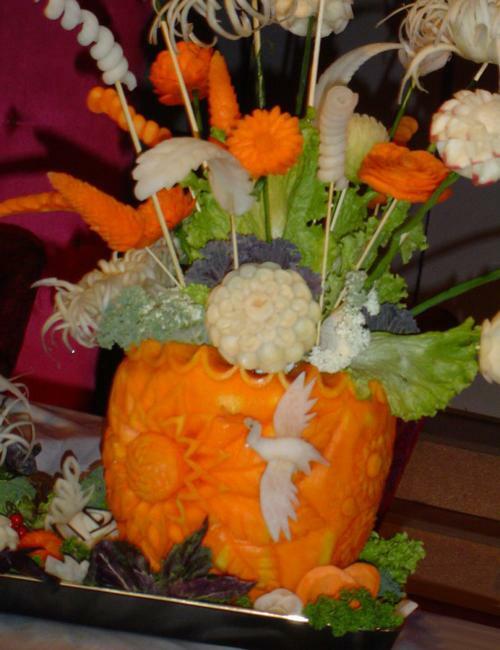 Use the large spoon to scoop all of the pulp and seeds out of the pumpkin. 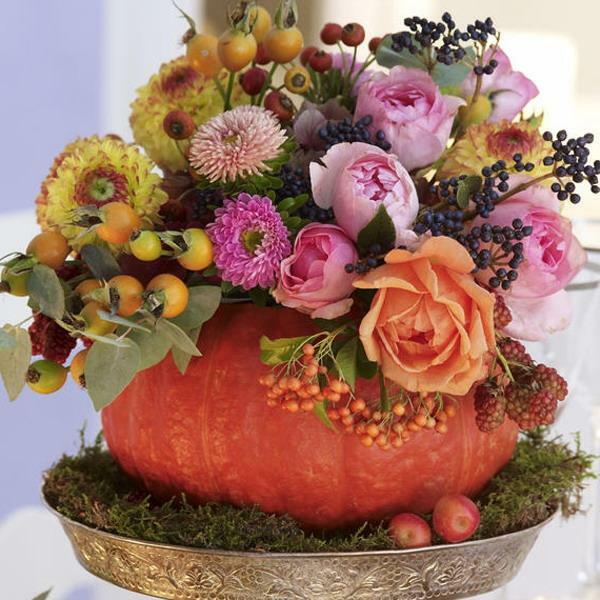 If you do not have time for carved pumpkin designs, go ahead and arrange your fall flowers inside the pumpkin, adding a few branches with wild berries or fall leaves to your gorgeous, natural and cheap fall table centerpiece. 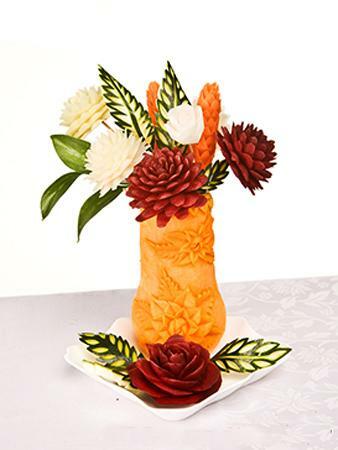 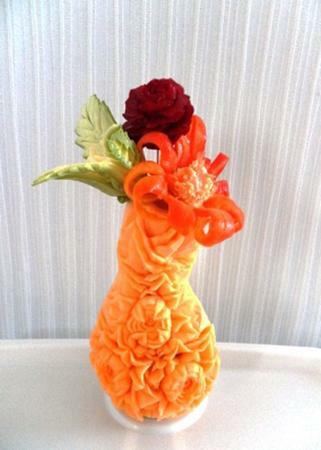 If you have extra time for creating a truly unique table centerpiece, try simple, but impressive carved pumpkin designs to make artistic and unusual Halloween or Thanksgiving centerpiece that make a statement. 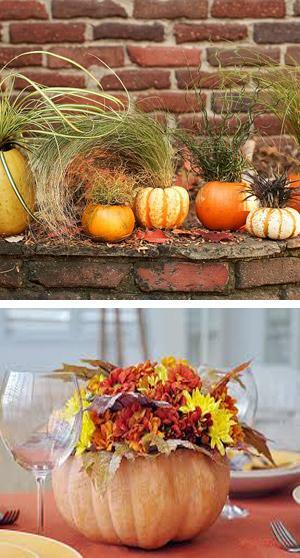 Carved of pumpkin flowers or artificial flowers are great to adorn your pumpkin centerpiece, but fresh flowers, dried grasses and moss look fantastic, adding amazing centerpieces to your fall decorating. 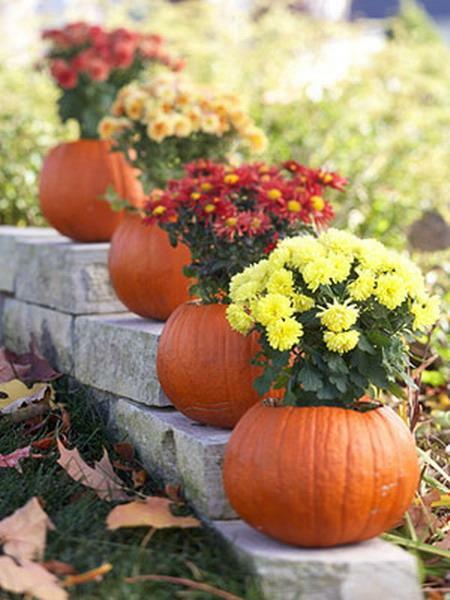 If your pumpkin is wide and deep, you could place an entire flower pot with fresh flowers in it, adding fall aroma to your table decoration. 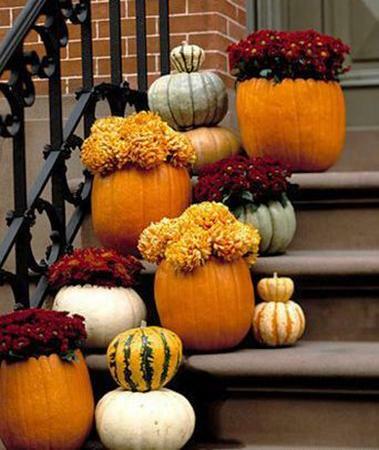 Using pumpkins and gourds for fall decorating, creating beautiful and elegant Halloween or Thanksgiving table centerpieces make you home feel natural, warm and inviting.